If you've stumbled here from my "Professional" page, don't be alarmed. You can return to relative normality by clicking here. I'm a keen amateur horologist, specializing in Soviet and Russian wrist- and pocket watches. 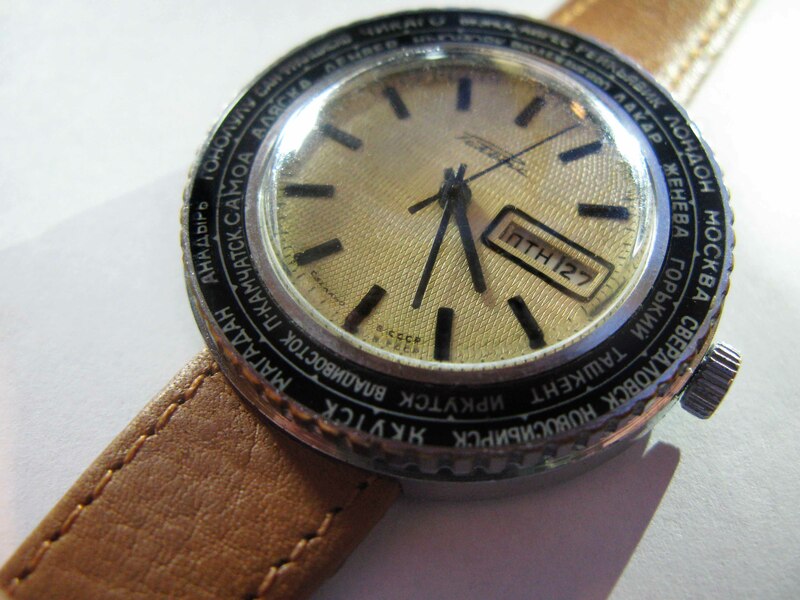 People get quite sniffy about Soviet watches, but in fact the Soviet watch industry was responsible for many innovations in watchmaking, and Soviet movements are on a par with Swiss ones. 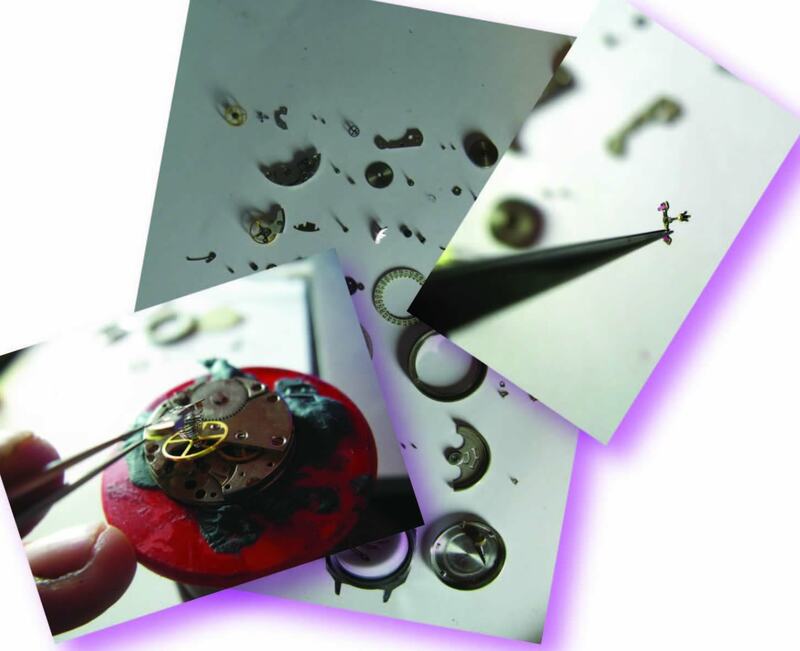 I'm also a self-taught watchmaker (in the modern sense of the word - watch repair rather than fabrication). Fortunately, Soviet wristwatches are pretty much bomb-proof, so my mortality rate is low. Interestingly (or not, perhaps), watches are made to tolerances down to a few microns - the same scale as some of the microfluidic devices I make and use in my research, so the skills I've picked up aren't totally wasted. I have a disconcertingly large collection of Soviet and Russian watches, all made at Petrodvoretz - the oldest factory (of any kind) in continuous operation in the Soviet union. I'm in the process of cataloguing my collection but, in the meantime, an interim catalogue covering about half my collection can be downloaded as a large (50Mb) PDF file here. Oddly enough, I seldom actually wear a watch. This is a repository for PDFs of various watch catalogues. Click on the links to view each one. Any ascribed dates are usually guesstimates, because most of these catalogues do not have dates printed in them. Most of these catalogues I have found online, and thanks go to those who originally scanned and uploaded them.